Don’t Get In The Way of This 40K Space Marine Costume « Adafruit Industries – Makers, hackers, artists, designers and engineers! If you want to choose a costume that involves building armor, Warhammer 40K has a plethora of options. 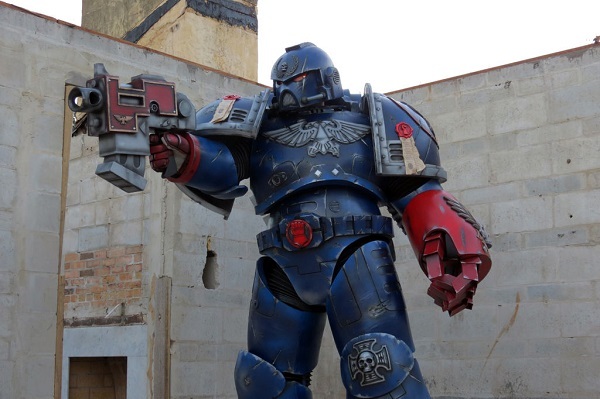 Instructables user Gary Sterley invested around 450 hours into building a Space Marine costume of the Crimson Fist. It’s only the second costume he ever built. I’m amazed. This is the first time he’s worked with foam and had to factor in building stilts. The armor is built from pieces of 1/2″ foam and the shapes were printed from pepakura files. Assembling the foam and reinforcing it seems straightforward. 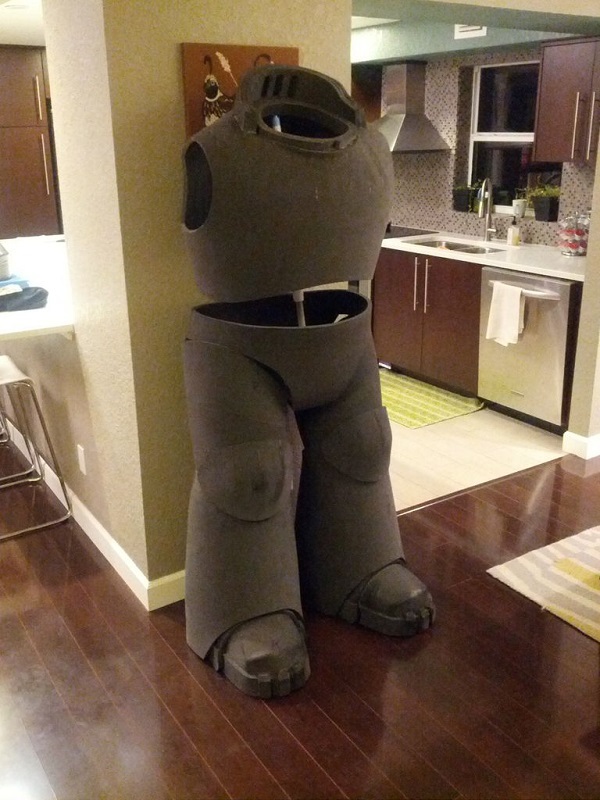 Now that you have a pile of foam shapes cut out you will need to join the edges together to make your armor. It might be easier to do one piece at a time. You dont want to confuse pieces. Use a hot glue gun to join the edges.This is going to take some time. I used over 100 sticks of hot glue once it was all said and done…. the big ones too. Refer back to the Pepakura files if you get confused during assembly. oam is rather soft and bendable. Not a good thing when you are going to paint a piece. The paint will split if it bends too far. To eliminate the bending and make the armor rigid, I created internal skeletons of PEX tubing inside all of the larger pieces. The skeletons also serve as excellent attachment points for stringing the pieces together.